Where might you find the following collection of items? And of course the answer is, in the back yard laboratory of a budding scientist. 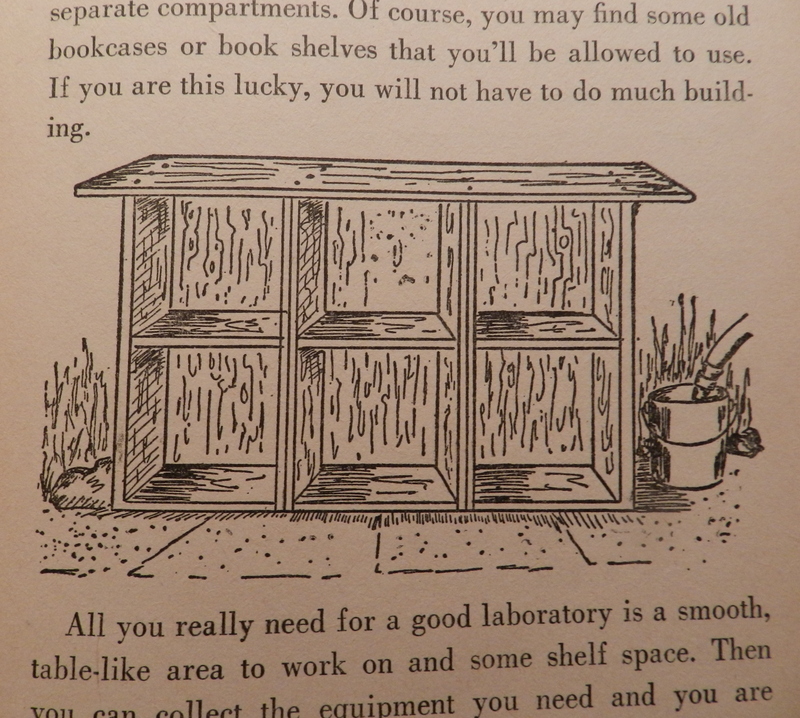 Once you’ve set up your “smooth, table-like area” (check with your neighborhood market for crates you can use for seating), and gotten some shelf space, you need to equip your laboratory. “The one piece of scientific equipment you must have is a hand-lens magnifying glass.” Buy the best one you can afford. A good one will cost $2.00 to $3.00. And then you need scissors and razor blades and knives and such. See above. If razor blades made you laugh (or cringe), you should see the list of containers “you will want to save.” Tetanus. Salmonella. Lead. Escherichia coli. My favorite is “Tin cans, clean, and with tops smoothly removed” because back in 1958 “tin” meant tin– Sn.